This Inn is in a fantastic little town, McCloud, between Mt Shasta and Burney Falls, right in the shadows of Mt Shasta. It’s an easy drive to or from Redding as well. It is obviously newly renovated and no detail was spared. Comfortable bed, large bathroom, hardwood floors, refrigerator, coffee maker and microwave. There is a restaurant/bar on site, but still very quiet. Very cute place to stay in a cute small town. Money. That place was sweet. Great owners too. Super accommodating. Location: McCloud waterfalls are beautiful and there's a pond for kids to play. Shasta Mountain is close by and Shasta lake is not too far. 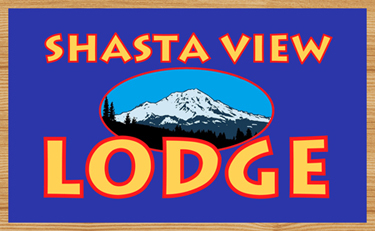 Great hotel near Shasta Mountain. Rooms are spacious and the bar and restaurant are great. The rooms are clean, well appointed, and spacious. They have all the supplies one might need. While there is no view from the room itself, every time one walks outside, one is greeted with an amazing view of Mt. Shasta. Ready to spend the night?